Keystone Elevator Weymouth is an independent New England-based full service elevator company. We provide superior quality and service for all brand name traction and hydraulic elevators, dumbwaiters and lifts for both residential and commercial clients. 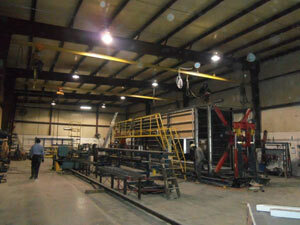 We also install and upgrade all forms of vertical transportation. Keystone was started in 1995. During the first few years in operation, the owners saw an increase in the number of clients needing modernization of their existing elevator systems. So in 2001, the name was changed to Keystone Elevator Service & Modernization in order to better communicate the company’s services and capabilities in this niche area. Through hard work and dedication to customers, Keystone is now known as a leader in the elevator installation, service and modernization industry. We are proud of the reputation that has been built for the Keystone name. Keystone Elevator was founded in 1995 with the sole purpose of providing quality, dependable elevator services with a dedication to put our customers’ needs first. The personal touch we provide separates us from our competition. Our service technicians work closely with our clients to answer any and all questions completely and honestly and our invoicing is designed to be detailed, yet understandable. Our goal is provide the best service possible for our customers, as our success relies on these relationships and the referrals we receive as a result of the quality service we provide. Customers in a service-oriented business have a right to know the experience of the people working for them. This is especially true in the elevator industry. Extensive knowledge is essential to guarantee the proper installation, modernization, repair, service and testing of our customers’ equipment. Keystone Elevator technicians are licensed, trained and skilled elevator industry experts. 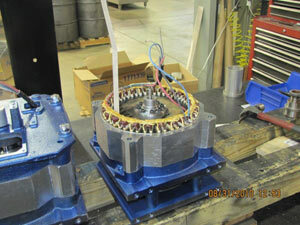 Each of our mechanics averages more than 25 years of industry experience. All of our mechanics receive ongoing training regarding new products and technology. Knowledge of the codes governing this industry is a must in this ever-changing industry. Our employees provide our customers with the prompt, safe and accurate response they deserve. We are proud of our employees. Their knowledge of the elevator industry standards and codes are second to none.